Another exciting weekend of great food, super wine and smiling faces at Parma Ridge Winery is coming this weekend! Want a great Rib-Eye and a good wine to go with it? It’s here! Try to call ahead to let them know you are coming and about how many will be in your party. And if the weather is nice, I’ll bet you can sit on the patio and look out over the Snake River AVA, or at least part of it. Here is the offering this weekend. Thanks Stephanie! It’s sure to be a fun weekend of wonderful wine, fabulous food, and an amazing atmosphere at Parma Ridge! We are open Friday 12 – 7 p.m., Saturday 12 – 5 p.m. and Sunday 11 a.m. – 5 p.m. offering our Regular Menu and Wine Tasting each day — and Happy Hour Specials Friday from 4-7 p.m. and Sunday Brunch Specials. Reservations recommended for groups of 4 or more if dining in the tasting room or on the patio. Due to it’s continued popularity, Storm is running another steak special this weekend! Try the Delicious One-Inch Cut Char-Grilled Ribeye Steak with Bleu Cheese Butter, Rosemary Truffle Mashed Potatoes with Cabernet Beef Demi-Glace, Grilled Asparagus and Storm’s Homemade Grilled Bread for $14.95, while supplies last. (See below for a mouth-watering pic). We have also added a couple new Flatbreads to the menu! Try the delicious new “Fungi” – Sauteed Mushrooms with Fresh Shaved Parmesan and Fresh Rosemary on a bed of Mozzarella and Truffle Oil. And for those meat-lovers, Storm has added a Italian Sausage & Pepperoni combo with Sauteed Mushrooms and his Homemade Red Sauce. $11.95 each. Dont’ Forget – Vote for Parma Ridge Winery for the Best of the Treasure Valley! 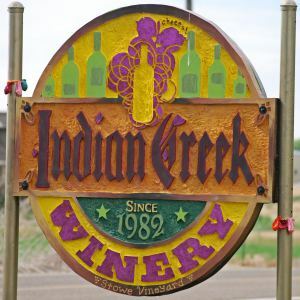 http://idahostatesman.secondstreetapp.com/l/2016-Best-Of-Treasure-Valley-/Ballot/Dining Click on Best Idaho Winery and scroll down to vote for Parma Ridge Winery. Thank you for supporting us! Come try our 2015 Unreleased Parma Ridge White Wines – Dry Riesling, Dry Unoaked Chardonnay and LaRea Dolce Sweet Riesling. We are offering them by the glass or 1 Liter Carafe while dining with us. Take your mom to Parma Ridge for Mother’s Day Weekend for a Special Menu created by Chef Storm. Moms will enjoy a free glass of wine. We will also be having a 30% Off Painting sale of our Stephanie Lindsey original oil paintings all weekend. Open Friday, 12-7 p.m., Saturday 12-5 p.m. and Sunday 11 a.m. – 5 p.m. We are getting full on Mother’s Day, but have plenty of room on Friday and Saturday! Call now to reserve your table. Enjoy the Sunshine and see you this weekend!